Thank God for making the existence of people who created and invented Pinterest, because it IS my place, so-called my new /Tumblr/. ;P It always being there to break my creative block! 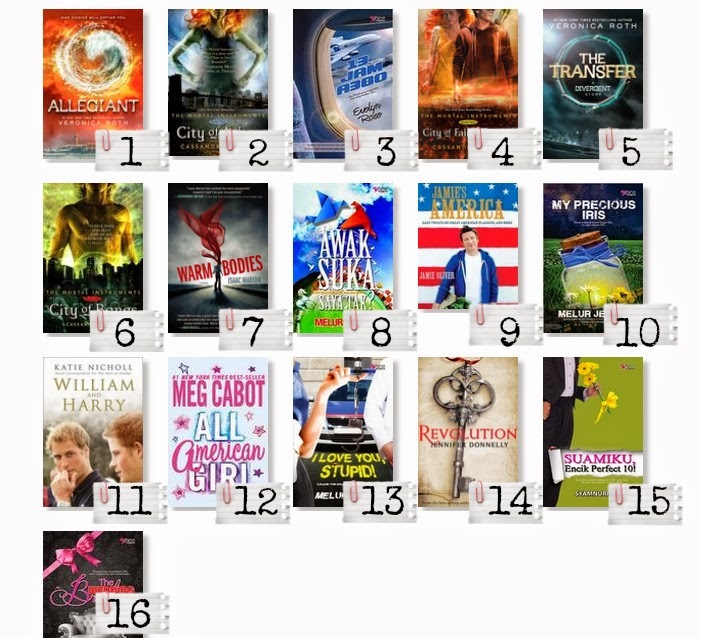 So, just about the time, I have completed my goal of reading 15 books for my Goodreads 2013 challenge. It wasn't really a great accompolishment but last year was a bit of a busy year to me, so 15 books really does occupied my free time. and these were the books that I read!